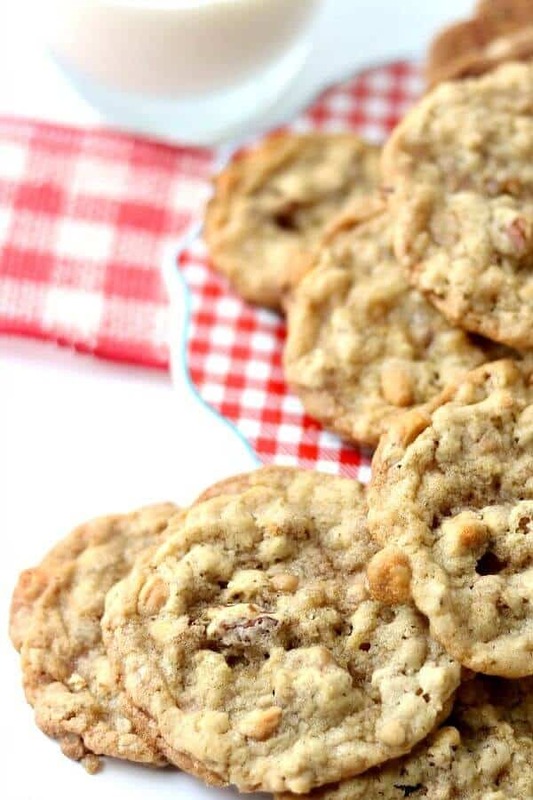 The inspiration for these butterscotch oatmeal cookies comes from a handwritten recipe found in my mom’s box of family recipes. Scrawled across the top in faded blue ink is the title, Butterscotch Buckaroons. I’ve changed the recipe up over the years but they are still the rich, sweet cookies I grew up with. It was given two thumbs up by the RestlessChipotle Recipe Testers! This post was originally posted in March 2008. Images and recipe have been updated. Head over here if you’re looking for classic, old fashioned oatmeal cookies instead of these. But be sure to pin this recipe so you can find it later! I love these butterscotch oatmeal cookies WAY too much. I think they taste like brickle ice cream! The really great thing about them is that they are super easy and they freeze well. You can whip up a batch, cook some and freeze some for the next time you want a cookie. We always called them Buckaroons. I haven’t seen the recipe anywhere else but I have seen a Buckaroos recipe that’s very similar. I’m wondering if someone didn’t hear the recipe correctly or maybe copied it down wrong. Either way, these will always be Buckaroons to me! It really doesn’t matter what you call them – they’ll be a favorite. 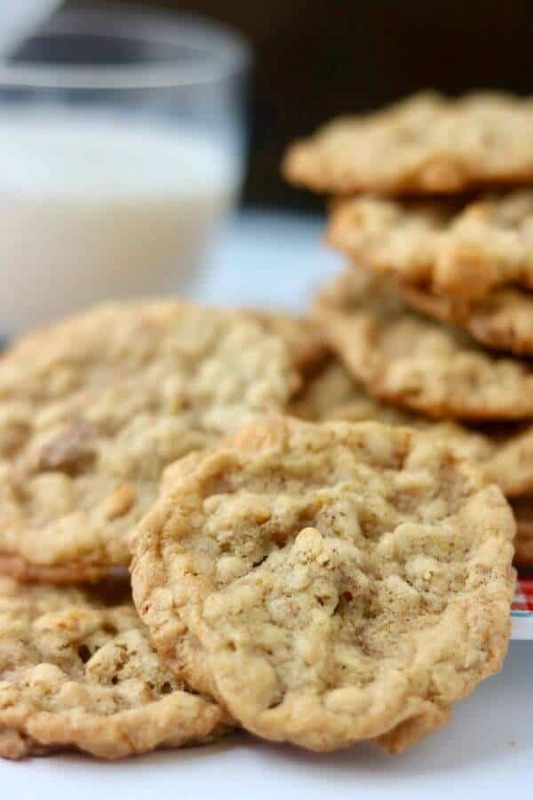 Crunchy edges, chewy middles, and a flavor that is buttery-sweet make this butterscotch oatmeal cookies recipe a step above anything else I’ve tried. 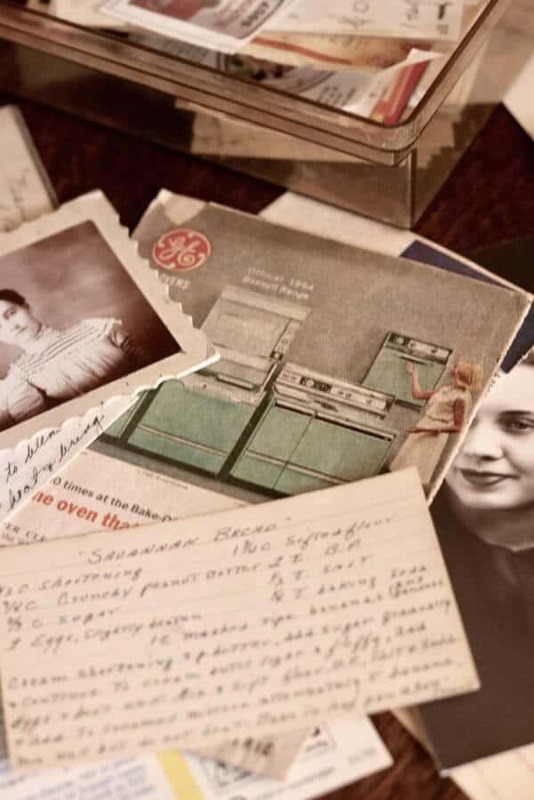 Do you have old family recipes tucked away somewhere? I have a huge box of handwritten recipes that my mom and my aunts traded over the years. There are a bunch of recipes that mom cut from newspapers and magazines, too. It’s fun to look through them, remembering this or that aunt, and thinking about the various occasions I had enjoyed the recipe. At the very bottom of the box there are the oldest recipes. Some of them are from the 1920s and 1930s – written by my grandmother or a family friend whose name was long forgotten. I know that there are types of food that are considered comfort food but it seems to me that almost all food is comfort food to someone. Making memories can happen in a lot of places but in our family it’s usually in the kitchen! Pretty much all cookies can be adapted and played with as long as you keep the ratio of ingredients the same. These are so versatile! Use a tablespoon to measure the dough so you can make ice cream sandwiches with them – just put ice cream between 2 cookies. Sprinkle the tops sparingly with some coarse sea salt. Dip the baked cookies half way in melted chocolate or white chocolate. Add sprinkles if you like. Once you bake these I’m sure you’ll come up with a million more! Silicone mats are the way to bake cookies! No sticking, no burning. These are sure to be a favorite with your family and friends. Cook them just until the centers are set and firm but still look a little shiny. When they cool they will be crispy on the edges but chewy in the middle. I know you are going to love them! Plan on making some of MY memories this week – better yet make them your own memories one afternoon this week. They are so easy the kids or grandkids can easily help. Once you’ve made a batch of these Buckaroons give my white chocolate chunk cookies or spicy dark chocolate crackle cookies a try! 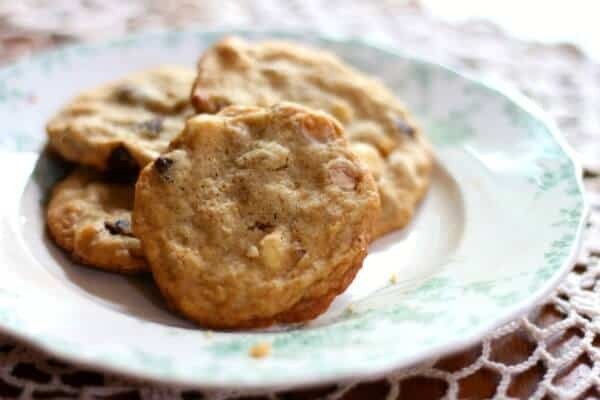 Rich, chewy cookies with lots of butterscotch flavor! 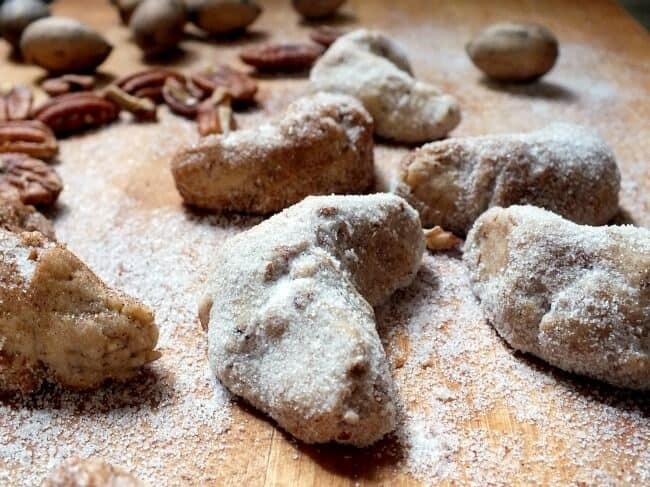 Pecans and toffee bits add texture and flavor. 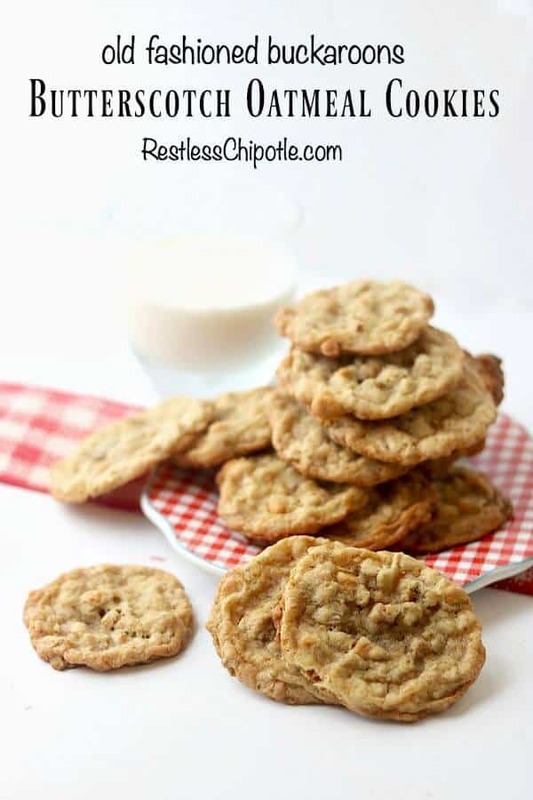 These butterscotch oatmeal cookies freeze well baked or unbaked. Blend butter and sugars together, creaming well. Add eggs, and beat until light and fluffy. Stir in oats, nuts, toffee, and butterscotch chips. 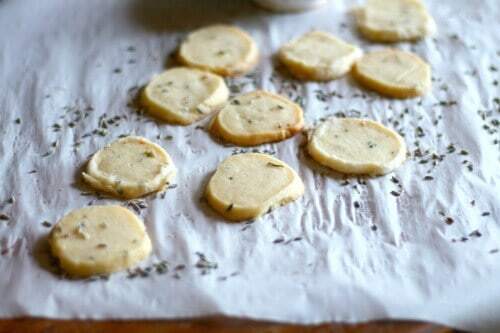 Drop by teaspoon on a greased cookie sheet. Bake at 350 for 10-12 minutes, or until golden. Do not overcook. Let cool on baking sheet 5 minutes before removing. This recipe is included in Meal Plan Monday – be sure to check it out! Sorry, that was a typo… the original had shortening but I removed it… It’s correct now. Thank you for bringing it to my attention!